L-R Frontrow: Secretary-Treasurer of the Optimists Club of Barbados Safiya Robinson, Maureen Burgess Thornhill collecting for Meshach Thornhill, Harrison Griffith, Rebecca Williams, Emily Odwin, Matthew Weatherhead and President of the Optimists Club of Barbados Creig Kinch. 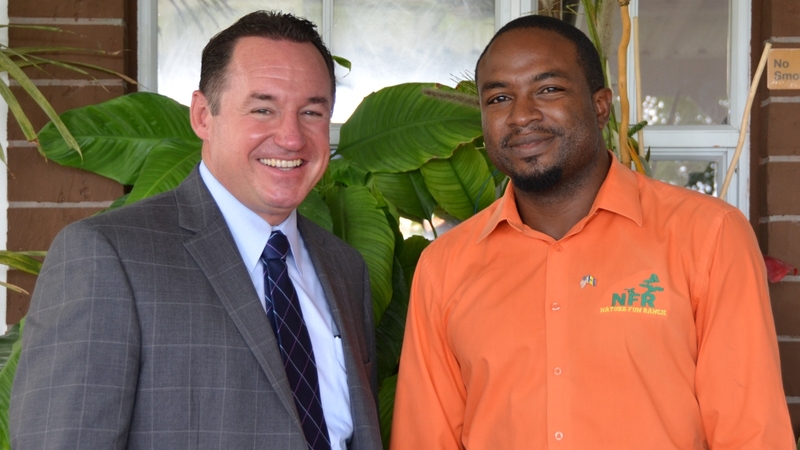 L-R Backrow: Chairpersons of the Youth Appreciation Week Committee Jason Carmichael and Corey Lane. 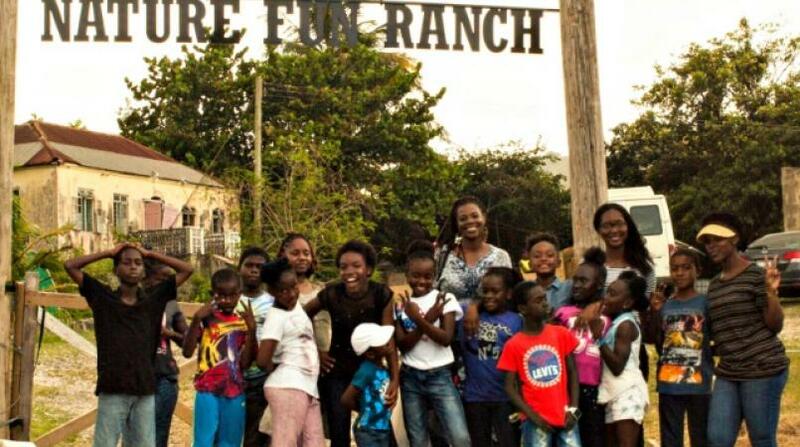 In a world where young persons continue to be placed under the microscope for all the wrong reasons, a group of youth are proving that the future of Barbados is indeed bright. And one club is ensuring that their commitment, hard work and positive attitudes do not go unnoticed. 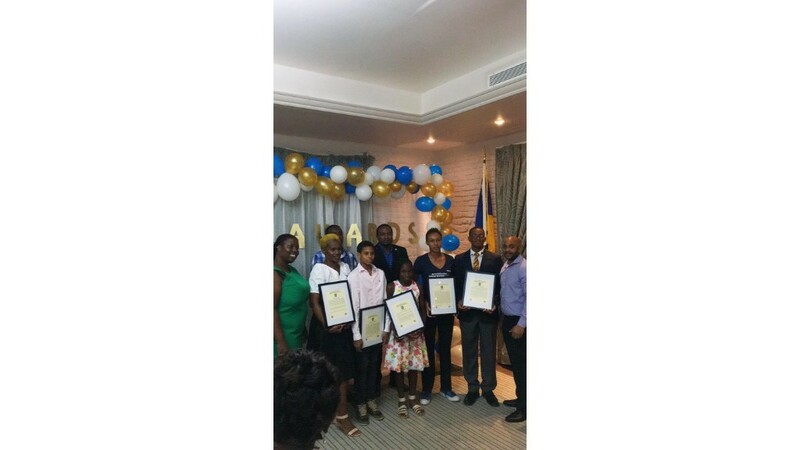 The Optimists Club of Barbados - Bridgetown recently honoured five young persons who are making great strides in a variety of areas in Barbados and beyond. 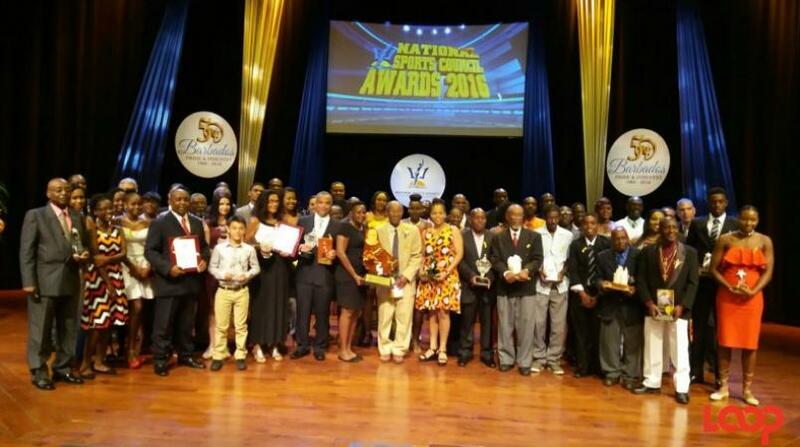 They were selected out of a group of 21 outstanding young Barbadians nominated through the club's social media pages. Meshach Thornhill, Emily Odwin, Matthew Weatherhead, Rebecca Williams and Harrison Griffith are clear illustrations of such positive youth and were honoured during the club's Youth Appreciation Award Dinner at the Island Inn Hotel. Take a look at their profiles below. Matthew Weatherhead was determined to be successful from a young age and is today proof that dedication really does pay off. He was placed 9th overall in the 2012 Barbados Secondary Schools' Entrance Examination (BSSEE) and continues to be a shining light at Harrison College, with a number of achievements to his name: Headboy; Governor of the Caribbean Atlantic District of Key Club International; 1st in the Lions Club International District 60B Outstanding Youth Contest; winner of a past Optimist Oratorical Contest; second in the Junior Minister of Tourism Competition; winner of a past BAOP Oratorical Speak-Off Contest; appointed Youth Representative on the National Committee for Monitoring the Rights of the Child in 2017; all Grade Ones in Unit 1 CAPE in Biology, Chemistry, Physics and Communication Studies; as well as a distinction in the Royal School of Music grade 8 Examination in the discipline of clarinet. At just 14-years-old, Emily Odwin has already made her name known around the world. It was at 8-years-old she started playing golf and in just a few years this aspiring professional player already has numerous titles in ladies' divisions under belt: the Sir Garry Sobers tournament, the RBC Classic, the Barbados Junior Golf Championships, the Ladies Open, the Rockley Open, the Crane Classic, the Royal Westmoreland Ladies' Open and she was the individual champion at the Barbados Independence Invitational Games where she won the ‘People’s Choice Award’. Those are but a few of her achievements however: bronze medal in the 15-18 age group at the 20th Maccabiah games in Israel; the Most Outstanding Female Player and winner in the 14-15 age group division in the Republic Bank Caribbean Junior Open Golf Championship; World Amateur Golf Ranking (WAGR) status after becoming the first female to win the overall gross prize in the Sir Gary Sobers Golf Championship. Despite these and her many other successes, Emily's integrity makes her even more outstanding. She was on her way to winning the Sagicor Barbados Open Golf Tournament in August and was the only one to recognise an error which would mean her disqualification - something she notified officials about even though it would mean she could no longer win. Meshach Thornhill epitomizes unceasing determination. Even though he did not obtain the marks to go to any of the schools he preferred to in the Barbados Secondary Schools' Entrance Examination (BSSEE), he never let that deter him. He obtained nine Caribbean Secondary Education Certificate (CSEC) examination during his time at the St George Secondary School; successfully completed his Caribbean Advanced Proficiency Examination (CAPE) at Combermere School; obtained his law degree from the University of the West Indies, St. Augustine Campus; and is now completing his Legal Education Certificate at Hugh Wooding Law School in Trinidad and Tobago. Look to 10-year-old Rebecca Williams for evidence that a balanced life is attainable. From sports to general involvement at school, Rebecca is flourishing at it all, staying on top of her studies, competing in a mental mathematics competition, as well as in a spelling and general knowledge quiz. It was at four-years-old she started wrestling and has since won awards and represented the island outside of Barbados, such as in Cuba and the United States - even competing against and defeating boys. She even decided to try her hand at cricket when her school's team needed players and now she is on the team. And with such an active schedule you would think she may have missed a day or two of school - but no! Rebecca has never missed a day. At an age when many are overwhelmingly consumed with what is happening in their own world and that of their friends, Harrison Griffith makes a positive difference. 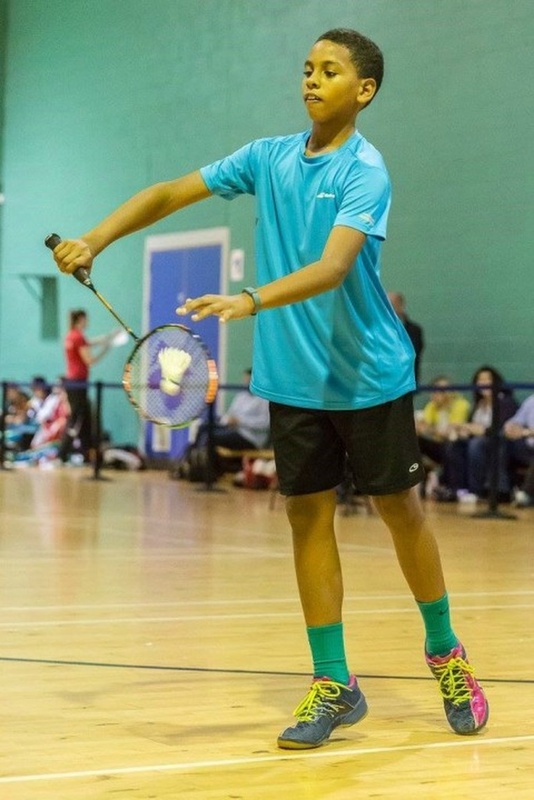 The 13-year-old started playing badminton at six-years-old and has already made great strides in the sport: three Barbados U15 Barbados Boys Singles Champion; U15 Boys Singles Champion at the Caribbean Regional Championships; winning Gold in the team tournament of the Glasgow Youth International Badminton Championships in 2017 among a range of other achievements. His focus is not strictly on winning however, as he was recently named a Youth Ambassador for France-based children's aid organisation, Solibad, Badminton Sans Frontiers [Badminton Without Borders] - an organisation that undertakes social projects around the world and exposes underprivileged children to the sport of Badminton. Harrison donates 10% of the funds he raises for his travel and training expenses, as well as any prize money that he may earn over the course of the year, to projects undertaken by Solibad.